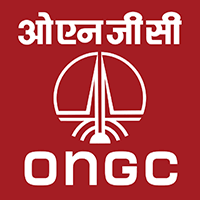 ONGC Gujarat Answer Key 2019– After fruitfully conducting the ONGC Gujarat Recruitment written exam, the Oil and Natural Gas Corporation (ONGC), is now all geared up to release the official ONGC Gujarat Answer Key 2019 for the various posts of the vacancy. All individuals who have written the ONGC examination will be looking for the solutions of the questions they have answered. If you are one of them who have given this test and are looking for the correct answers to cross-check and tally their scores, you are on the right page. Furthermore, you can check this with the ONGC AT cut off marks of this year and you’ll realize if you have secured marks above the required limit. This dedicated article is also linked at the bottom of this article. Another reason why the Oil and Natural Gas Corporation (ONGC) Dept is going to release the ONGC Assistant Technician Gujarat Answer key is to clear out any discrepancies among the contenders with regards to any questions. Note, this article is in context with the ONGC Recruitment 2019 conducted in Gujarat (Advt No: 01/2019 (R&P). The recruitment was conducted for the posts of Assistant Technician (Mechanical), Assistant Rigman (Drilling), Assistant Technician (Production), Assistant Technician (Boiler), Assistant GD.III (Transport), Assistant GD.III (Material Management), Security Supervisor, Jr., Jr.Assistant Technician (Fitting), Jr.Assistant Technician (Machining) and more posts. If you have applied for the recruitment, and have some doubts about this, go to the official ONGC Recruitment 2019. Now, that you have collected and understood the need to write this article, now let us move on to the content you have come here for, which is the ONGC Gujarat Written Exam Answer Key 2019. How to Download ONGC Gujarat Answer Key 2019? Initiate by going to the official website of Oil and Natural Gas Corporation (ONGC), i.e. www.ongcindia.com. You will find the ONGC answer key for this recruitment here on the homepage. If at all you do not find it, then search for it in the search bar. If you still don’t find it, then click on the link given below and you will be taken to the direct link to the answer key. Now, you will get the page where you have to put in your registration details. Put your registration details and submit it. Now, finally, your answer key will be on the screen. Tally your marks and let us know in the comments how much you scored! How were your scores? We hope they were above the prescribed cut off. If there were not, do not worry, because we have other similar job recruitment lined up for you at GovtJobIndia.com homepage. Now that you have checked the approximate score which you might get, why don’t you check and know for sure how well you have fared in the ONGC Gujarat Recruitment 2019? You can do this by going to the ONGC Result page linked below. 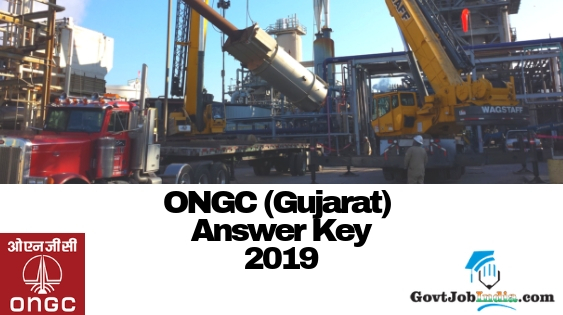 We hope that this article about the ONGC Gujarat Answer Key 2019 was easy to understand and useful. Hope it was positive news about the ONGC Gujarat Recruitment 2019 for you. If it was, congratulations to you! Whereas if it wasn’t very positive news, worry not, because we have many more recruitments lined up for you @ GovtJobIndia.com.